The information presented on this page was originally released on March 27, 2017. It may not be outdated, but please search our site for more current information. If you plan to quote or reference this information in a publication, please check with the Extension specialist or author before proceeding. 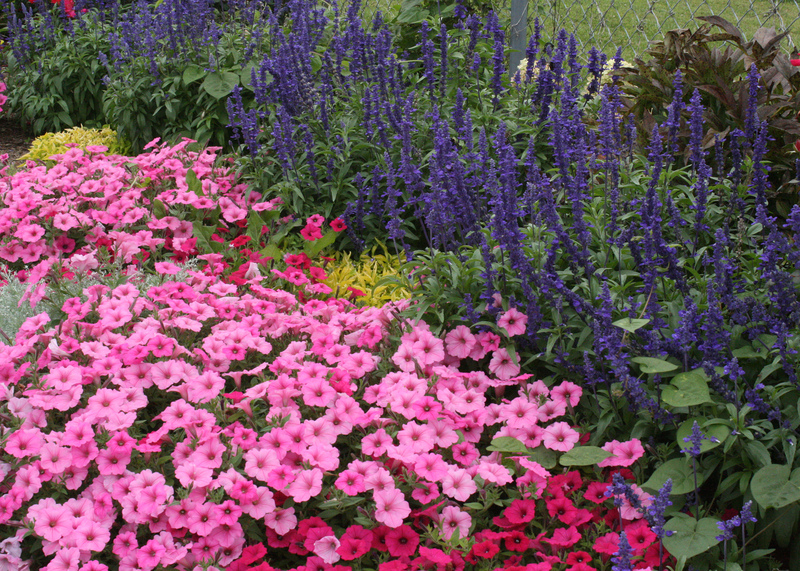 Now is the time to start planting annual color for summer. If I could plant only one group of annuals, it would have to be the Supertunias, as I can’t do without these flowering beauties. For the past several years, I have watched and written about these fantastic garden performers. 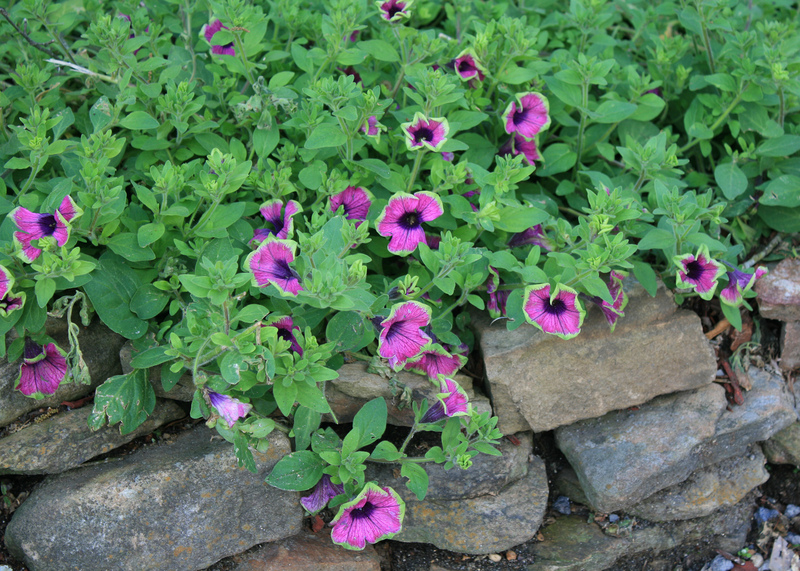 Whether used as spreading plants in the landscape or as container and hanging basket plants, Supertunias have performed well in Mississippi. I have come to have a couple of favorites: Vista Bubblegum and Pretty Much Picasso. 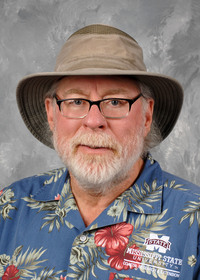 Vista Bubblegum is so reliable that it was chosen as a Mississippi Medallion winner in 2012. Its flowers are clear, bright pink, and they have performed well in Mississippi gardens. These vigorous plants will typically have a 3-foot spread and can be up to 2 feet tall. This size makes them perfect for mass planting in the landscape bed to create a pink ground cover. Vista Bubblegum is also a good choice for containers and hanging baskets where the flowering branches and shoots can cascade over the edge. In 2016, I planted a single Vista Bubblegum for ground cover under my citrus trees growing in 25-gallon containers. By the end of summer, the plants had a 5-foot spread and were crawling around my landscape. This year, I’m growing a new Supertunia, Daybreak Charm, under my citrus trees. This selection has vibrant, sunshine-yellow flowers with watermelon-pink margins on the petals. Though the flowers are a little smaller than the Vista Bubblegum, the number produced on the densely branched plants will be stunning. The other of my absolute favorite Supertunias is Pretty Much Picasso. The flowers on this selection are outstanding with unique, fuchsia petals and lime-green edges that seem to blend into the foliage. There are a couple of other selections in the Picasso family -- Picasso in Blue and Picasso in Pink. Both have performed well in my Ocean Springs garden and landscape. 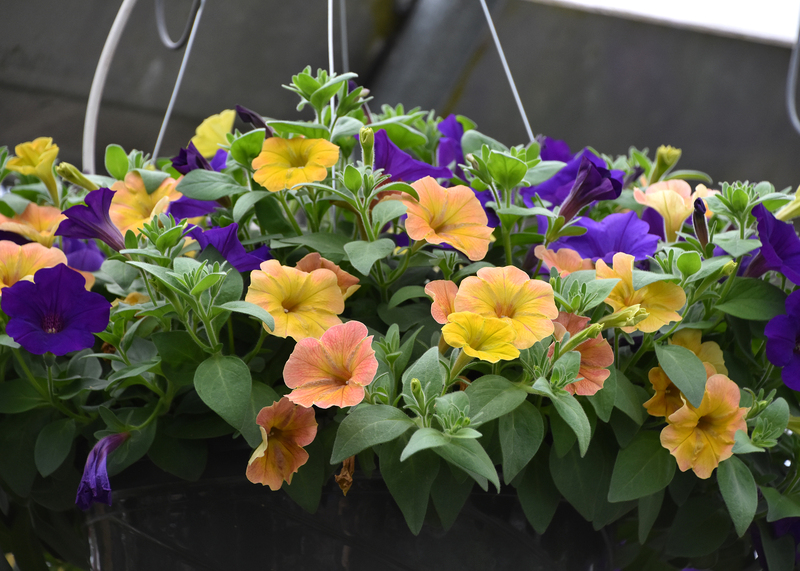 Supertunias are also fantastic in hanging baskets, and there are at last count about 40 different colors and sizes to choose from. Think about how many combination baskets you could make with this number. Perhaps my favorite combo basket is Supertunia Royal Velvet with Supertunia Honey. Royal Velvet is definitely a royal purple fit for a queen, and Supertunia Honey has flowers that are a blend of the orange, yellow and warm colors of the setting sun. Supertunias are heavy feeders, so keep nutrition at consistent levels to maintain continuous flowering. Weekly feedings with a water-soluble fertilizer work well. If you want to save a little time in the landscape, it works just as well to apply a controlled-release fertilizer every four to six weeks. Always plant in full sun for the best flowering and growth. Keep the soil or potting medium consistently moist. If you allow the plants to dry out and start to wilt, they will stop flowering for up to a couple of weeks. Watering is especially important when growing Supertunias in containers, as these dry our much faster than those planted in the ground. Early morning watering helps keep the soil moist. On the hottest days, you may need to water containers and hanging baskets again in the afternoon. This is where having a drip irrigation system is very useful. So find a place in your landscape for these beauties, and prepare for season-long color.